Baffled and Excited: One More Grow! I haven't been able to complete the game yet, but I'm guessing the tower is suppose to get very tall. Already from my first couple of attemps I'm seeing crazy things happening, as we have learned to expect from the Grow games. 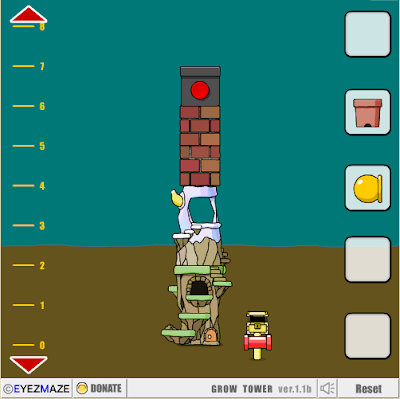 But now, off to make my tower grow! Hmmm..., somehow that sounds a bit, uhm, wrong?